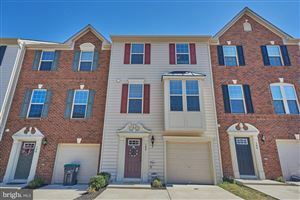 Are you looking for a home in the Grafton Village area of Stafford County? This is a sought out community and homes sell very quickly. Call 540-834-6924 and lets get started finding you a home in the Grafton Village area. Thinking about selling your home in Grafton? Homes are selling find out your homes value and let me sell your home in 30 days or less. Call 540-834-6924 to get started today! The data relating to real estate for sale on this website appears in part through the BRIGHT Internet Data Exchange program, a voluntary cooperative exchange of property listing data between licensed real estate brokerage firms in which A Pam Martin Listing, Powered By eXp Realty participates, and is provided by BRIGHT through a licensing agreement. The information provided by this website is for the personal, non-commercial use of consumers and may not be used for any purpose other than to identify prospective properties consumers may be interested in purchasing. Real estate listings held by brokerage firms other than A Pam Martin Listing, Powered By eXp Realty are marked with the IDX icon and detailed information about each listing includes the name of the listing broker. Data last updated: Apr 26, 2019 6:59:am. Do I Have Equity In My Fredericksburg Home? How Long is Commute from Fredericksburg VA to Washington DC? Is an Appraisal a Home Inspection? Is this the right time to sell my house? Stafford how much could I sell my house for? Thinking About Selling Your Fredericksburg, VA Home? What is my Fredericksburg, Stafford VA Home Worth? What is my Stafford, Fredericksburg, VA Home Worth? eXp Realty serving Fredericksburg, Stafford VA - Top Listing Specialist, Top Agent, Fredericksburg Stafford VA Homes For Sale, Selling Fredericksburg, Stafford - Pam Martin Best Realtor VA.
As a full-time real estate professional, serving the Fredericksburg, and Stafford areas in Virginia, I have the necessary experience to see you through your home buying and selling process. There's no substitute for expertise. I invite you to use mine to assist you in buying or selling a home. Contact Pam Martin Top eXp Realtor Fredericksburg, Stafford VA, 540-834-6924 for more information. Serving Virginia in the following counties, Spotsylvania, Stafford, Fredericksburg, Orange, Caroline, King George, Louisa, Prince William, and surrounding areas.